Representation of Black women in television and film is a discussion point that remains at the top of the “Things Hollywood Needs To Work On” list. In 2014, UCLA’s Bunche Center of African-American Studies’ released the Hollywood Diversity Report: Making Sense of the Disconnect, which highlighted the glaring absence of minorities and women in various roles in the film and television industry, spelling out the very things we see as critical consumers of media. Across lead roles in film, cable and broadcast television, and behind-the-camera roles in writing and directing, women and minorities are vastly underrepresented when compared to their slice of the American population pie. At the center of this women/minority Venn diagram is the Black woman, whose moves in Hollywood are met with celebration and critique. Who’s earning key roles? What stories are being told? How are we exercising our autonomy creatively? How are we carving new spaces and taking seats at the table? The questions are ever-present, and the answers make themselves apparent, slowly but surely. 2014 was a banner year for Black women in Hollywood, and we’re hopeful that 2015 continues the movement. We’ve compiled a list of just a few of the Black women who are making waves in film and television. Check them out, then let us know who you would add to the list! After a summer 2013 teaser, 2014 gave us Being Mary Jane, the newest series from acclaimed television screenwriter and producer Mara Brock Akil. Always seeking to champion the visibility of Black women on screen, Brock Akil not only created and executive produced TV shows like Girlfriends and The Game, but also wrote the screenplay for feature film Sparkle. Brock Akil is co-founder of Akil Productions with her husband Salim, and utilizes the company as a vehicle to create space for showcasing diversity on television and in film. In 2015, watch her storytelling through season two of Being Mary Jane, and through the final season of The Game. In the last few years, Gabrielle Union has seen great professional and personal growth. After auditioning for the role of Olivia Pope on Scandal, the self-professed “former mean girl” found the opportunity to occupy her own lane with the title role in BET’s series Being Mary Jane. 2014 also saw Union reprise her role as Kristen in Think Like A Man Too, and take on a producer role in Lifetime’s upcoming film, With This Ring. In 2015, we’ll see Union’s name in the credits of With This Ring, and also continue to see her be Mary Jane Paul on BET. Black girls around the world rejoiced when Lupita Nyong’o triumphed at the 2014 Oscars, taking home the Best Supporting Actress award. What followed was appropriately called “the Lupita Effect”—she covered magazines, became a fashion industry darling, was named one of Glamour’s Women of the Year, delivered moving speeches, and gave us empowering quotes that celebrated the diversity of Black beauty. 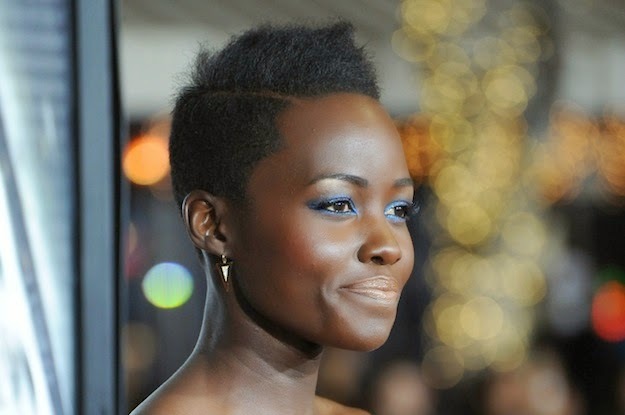 In 2015 and beyond, we will see Nyong’o back on the big screen in the film version of The Jungle Book, and she’ll star as Chimamanda Ngozi Adichie’s Ifemelu in the film adaptation of Americanah, which she is also co-producing. 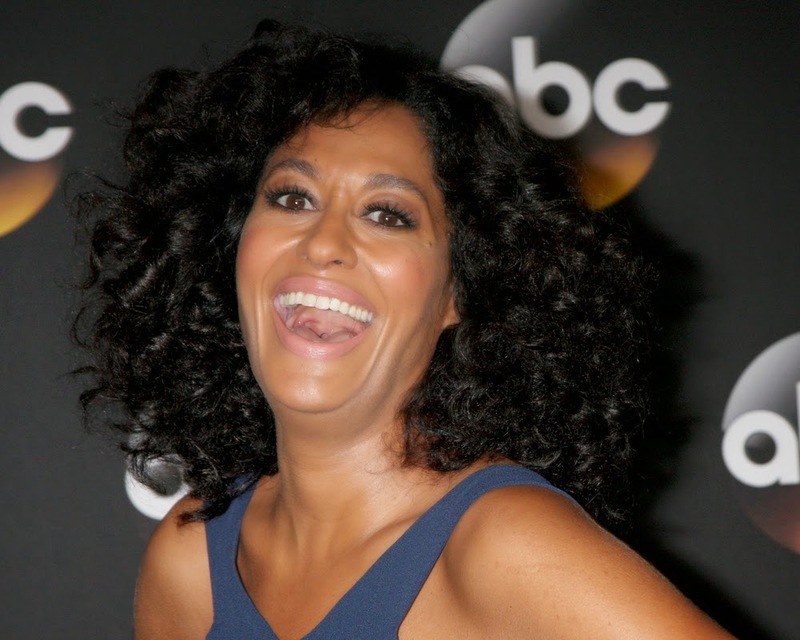 After the abrupt cancellation of Girlfriends in 2008, fans lamented the loss of Tracee Ellis Ross on their screens on a weekly basis. We got a taste with her return via BET’s series Reed Between The Lines, but she’s cemented her place in television with her current role as Dr. Rainbow Johnson on ABC’s new hit series Black-ish. In 2014, Ellis Ross did a media tour for Black-ish, which included an excellent interview with Janet Mock on Larry King Live. In 2015, watch more of Ellis Ross’ innate comedic skills on Black-ish, for which she’s been nominated as Outstanding Actress In A Comedy Series for the 2015 NAACP Image Awards! The world was introduced to Issa Rae, multi-hypenate actress-writer-director-producer through her popular web series, The Misadventures of Awkward Black Girl in 2011. She hasn’t slowed her roll yet. As one of the power players in the burgeoning Black new media sphere, Rae filled the gap for audiences looking for nuanced, smart, and hilarious representations of Millennial Black life. Collaborating with the likes of Pharrell Williams, Tracey Edmonds, and Shonda Rhimes, Rae is ready to take 2015 and beyond by storm. Look out for her upcoming HBO comedy series, and grab her book of personal essays entitled The Misadventures of Awkward Black Girl in February. She’s a legend in the game, and at the age of 62, Alfre Woodard isn’t through with us yet. Ever since her Broadway breakthrough in For Colored Girls Who Have Considered Suicide/When the Rainbow Is Enuf in 1977, Woodard has shown us how it’s done when it comes to the stage, silver screen, and television. With her 2013 Emmy nomination, Woodard made history by being nominated total of 17 times for 16 different characters throughout her career, giving her the distinction of being TV’s most versatile performer. In 2014, she took on the role of President of the United States in NBC’s political drama State of Affairs, and the actress-activist narrated the “Women In Politics” episode of Makers: Women Who Make America. Next up? Woodard has announced that she will be producing a 4-hour TV miniseries about voting rights activist and civil rights leader Fanny Lou Hamer. Angela Bassett is a force to be reckoned with, and it shows in the depth of roles she plays. With recent film roles in Olympus Has Fallen and Black Nativity, Bassett showcased both strength and vulnerability, and found new ways to challenge herself by singing in the latter film. On television, Bassett has made a huge splash on the third and fourth seasons of FX TV’s American Horror Story, playing Marie Laveau and Desiree Dupree, respectively. Bassett announced in 2014 that she is directing the Whitney Houston biopic on Lifetime, due out on January 17th. Joined by Gabrielle Union, Alfre Woodard, and Phylicia Rashad on a 2013 episode of Oprah’s Next Chapter, Viola Davis held no punches as she discussed what life is like for a Black woman in Hollywood. In 2014, the Academy Award nominee took on the role of lawyer and professor Annalise Keating in the ABC drama How To Get Away With Murder. A critical moment in the series showed Professor Keating removed her “armor”: wiping off makeup, removing false lashes, and pulling off her wig, revealing her natural hair. This was a phenomenal moment in TV’s representation of Black womanhood. Many of us await Davis’ return to our screen on Thursday night, and we also await her role as Amanda Waller in the upcoming DC Comics film Suicide Squad. Director and screenwriter Gina Prince-Bythewood had nostalgia on her side with the 2014 release of her film, Beyond The Lights. Most known for her 2000 classic Love and Basketball, many were excited for another offering from Prince-Bythewood. Beyond The Lights was not only an artistic gift, but a lesson in tenacity: Prince-Bythewood was not shy about sharing the obstacles she faced in getting the movie made. Forging efforts to employ a largely-female film crew and fighting for the stars that fit her vision (like with the casting of Gugu Mbatha-Raw as the lead character Noni), Prince-Bythewood taught us about the highs, lows, struggles, and successes related to creating the very things you want to see. 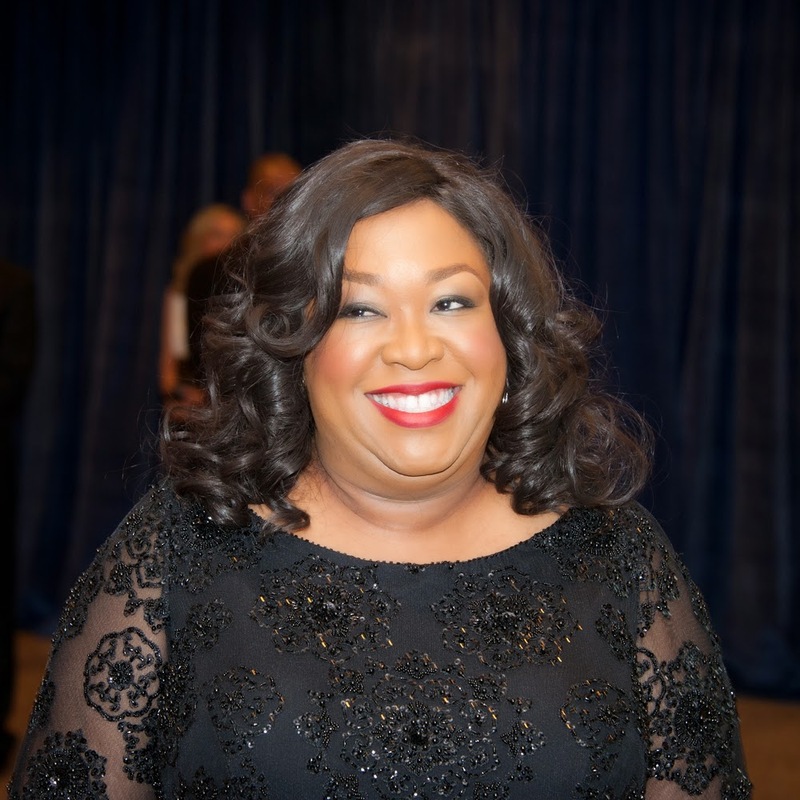 Shonda Rhimes has given her mentees a new level to aspire to. It’s no longer good enough to have a seat at the table, or to be given the whole table, as ABC’s president Anne Sweeney once said of Rhimes. Rhimes has veritably taken over Thursday nights on ABC with by executive producing the primetime lineup of Grey’s Anatomy, Scandal, and How To Get Away With Murder, and we can’t get enough. Her role as a powerhouse showrunner in Hollywood is undeniable, and has created hope for the widening of available roles for Black women in the industry, both in front of and behind the camera. Rhimes will continue to dominate Thursday nights throughout 2015. Writer, producer, director, and film distributor Ava DuVernay is embarking on what’s sure to be her biggest year yet. Her historical drama Selma is making history itself, as DuVernay is the first African-American woman to be nominated for a Best Director Golden Globe for the film. Academy Award talk is heavy as well, so the 2015 award season is full of hope for DuVernay. After her 2008 directorial debut with the hip-hop documentary This Is The Life, DuVernay has continued to deliver authentic representations of African-American culture and life with her various creative outputs. 2014 was a huge year for AFFRM (African-American Film Festival Releasing Movement), the distribution company she founded, so DuVernay’s future will surely be about creating history, creating art, and creating opportunities for others. Bee Quammie is a regular contributor at For Harriet.